A Kotaku reader living in Georgia spotted this at his local Sams Club. 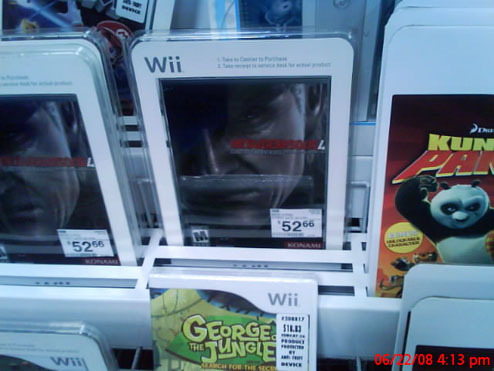 It clearly shows Metal Gear Solid in a Wii packaging with a price listed at $52.66. What’s weird is that Metal Gear Solid 4 isn’t expected to be released on the Wii system. This has to be a packaging mistake, but what if it’s not?